Standing as testimony to the power of determination, effort and resolve is VersAbility Resources, the largest, comprehensive provider of disability services in Hampton Roads. The programs and services offered begin at birth and serve people with a full range and spectrum of physical and cognitive disabilities. Headquartered in Hampton, with other locations in Oyster Point, Norfolk, Virginia Beach and Gloucester, the nonprofit organization offers living facilities in Hampton, Newport News and York County, early childhood services, day support programs at several sites and four diverse employment programs, all providing the opportunity to create different types of work, tasks and settings where people of varying abilities can contribute to all employers and business partners served by VersAbility. Grezelkowski, who holds a master’s degree in city and regional planning from Cornell University, was formerly a planner for Washington, D.C., and the city of Hampton, in addition to working with United Way of the Virginia Peninsula. 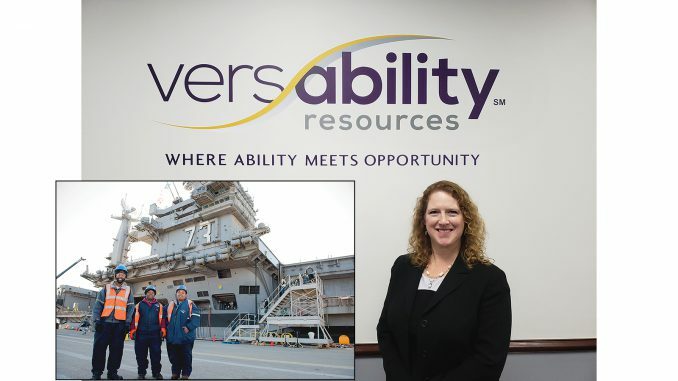 She has been VersAbility Resources’ head since 2006 and sees expansive growth for the future of her organization. “My path to where I am has been circuitous; from a degree in government and international relations at the undergraduate level, to doing organizational consulting, back for a master’s in city and regional planning. After several years in that field, I decided that I wanted to take my interests in long-term thinking and systems planning and apply it to working to strengthen our nonprofit community,” she says. Locally, VersAbility does everything from manufacturing eyeglasses for the Department of Defense (DoD), answering calls that come into Hampton’s VA Medical Center, serving food for the U.S. Navy at three galleys, to supplying grounds and base-wide custodial services, as far away as NASA Wallops Flight Facility. VersAbility is responsible for putting all of the food on ships for the U.S. Navy. “The fleet depends on us to be ready to fulfill its mission, and we provide that service at the five major ports on the east and west coasts, plus Hawaii and Guam,” Grezelkowski says. VersAbility is also responsible for answering all calls for Air Combat Command, including domestic calls across the country, as well as handling international calls and needs of U.S. forces deployed overseas. The organization holds two other contracts to handle both classified and post mail for the U.S. Air Force, including Air Combat and Global Strike Commands. Last year, VersAbility had just fewer than 1,000 employees, with more than half with disabilities. “One of our greatest strengths is our expansive federal contracting with many branches of the DoD and other federal entities,” Grezelkowski says. VersAbility currently has 18 federal contracts, 14 here in the region and four that have grown to be nationwide in scope. “Every day is different, fast-paced and often requires shifts from one subject area to a completely different one, all while complying with an extremely complex regulatory environment in disability services,” says Grezelkowski. “The level of documentation required of our staff is certainly a professional challenge. They spend hours a day doing proper documentation. We are working at both the state and federal levels to try to find that sweet spot of necessary documentation to ensure everyone is providing quality services and safety, but not so much that we are being overburdened by administrative requirements. “Rather than bring you an employee with a disability, we think it’s a game-changer to actually bring you a credentialed, certified employee with proven skills and expertise to fill that employer’s needs. 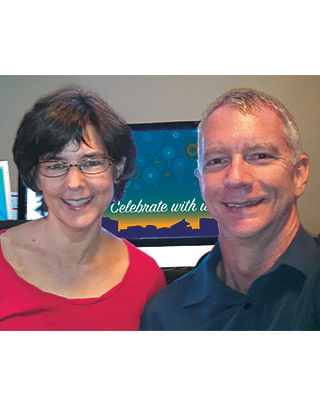 Our business partners regularly tell us that it is the best decision they have ever made,” Grezelkowski says. Grezelkowski’s parents were both professors of sociology, and she credits them with not only her sense of curiosity, but also a sense of social justice and responsibility. She enjoys live music, traveling—especially to Maine where she graduated from high school—hiking, spending time with her parents and reading on the rare occasions when she is not working. Grezelkowski is dedicated to her work and the staff with whom she interacts. “It is only our lack of imagination that limits what people with disabilities can achieve,” she says.